Environmentally Safe Practices Cutting edge technology “tests the wind” for SAFE in staying on top of crop disease. Catching the Wind: Agrochem’s Volumetric spore trap in place on a SAFE farm in Hoedspruit, Limpopo. 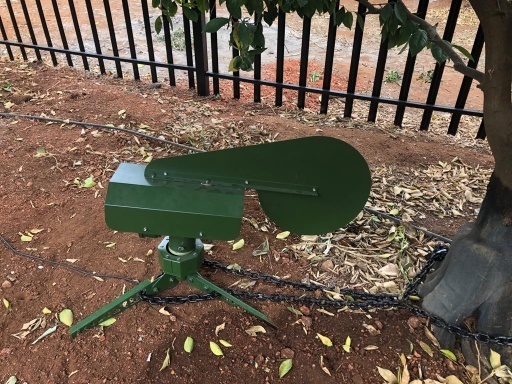 Leading edge technology to fight crop disease is being deployed on SAFE farms in Limpopo and the Western Cape with the support of Laeveld Agrochem’s volumetric spore traps. 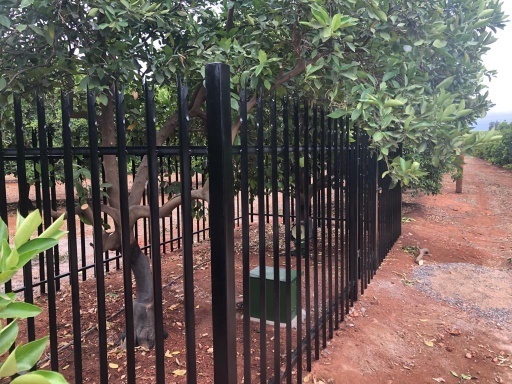 The technology has been applied on three SAFE farms by Laeveld Agrochem, who have installed the “spore traps” to detect various wind borne plant diseases and enable farmers to treat plants to avoid infection. Cultural, biological and conventional control methods are integrated to achieve desired outcomes. According to Ernst de Beer of Laeveld Agrochem – who has been working with SAFE for several years, offering services from soil testing to advice of irrigation – there are numerous areas of their operations where farmers can take advantage of advances in technology. “By using volumetric spore traps we can offer farmers enhanced disease control, lower environmental impact and improved decision making”, says Ernst. There is enormous pressure on farmers these days from consumers to provide not only the best quality fruit but also to comply with the highest environmental standards. “The technology and expertise that Laeveld Agrochem provides make it that much easier for farmers to produce fruit to the exacting standards that overseas certification requires,” says Ernst. Volumetric spore traps collect air samples to test for pathogenic fungi inoculum. The samples are analysed by a plant pathologist who advises the farmer on what action to take and how to reinforce disease management programmes. “With various models, it is possible to predict disease pressure and guide disease control programmes”, says Ernst. “Laeveld Agrochem has been extremely supportive of our farming practices, offering us pertinent advice over a number of years,” says Dries Van Rooyen, SAFE’s General Manager of farming operations. “The Laeveld Agrochem team includes qualified professionals with experience in agronomy, horticulture, soil science, geographic information systems, chemistry, and process and production engineering. “Their support with the installation of these volumetric spore traps has been tremendous. This early notice enables farmers to “optimise their disease control programmes, increasing yields and profitability. Better targeting of fungicides may also help to reduce the risk of resistance.